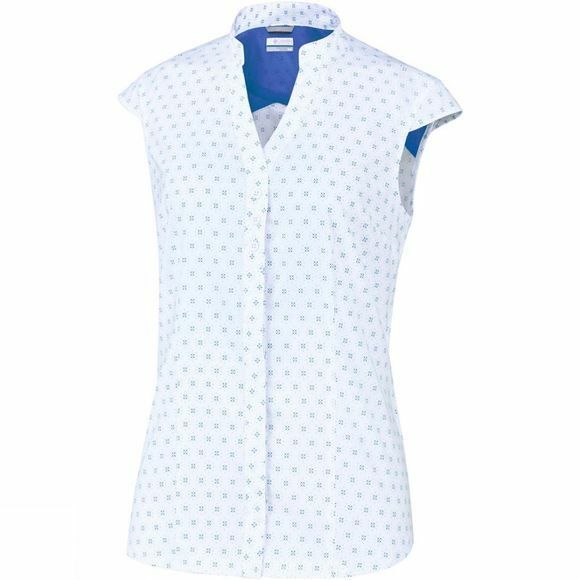 The durable comfort stretch fabric with UPF 30 sun protection of this Columbia Womens Saturday Trail Cap Sleeve Shirt lets you enjoy a whole day outside on the trail in complete comfort. The fast–wicking technology pulls moisture away from your skin, keeping you cool and dry all day. Keep your essentials in the practical stash pocket. 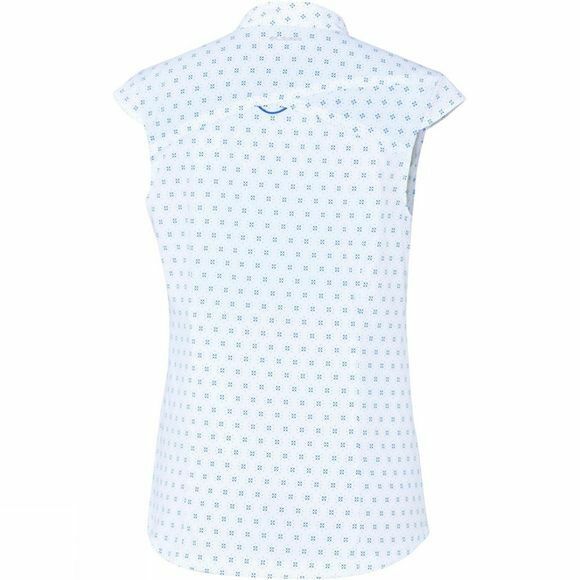 This cap sleeve shirt features a feminine neck collar closure.